Slowly I am getting back into the swing of things and it feels so good honestly. 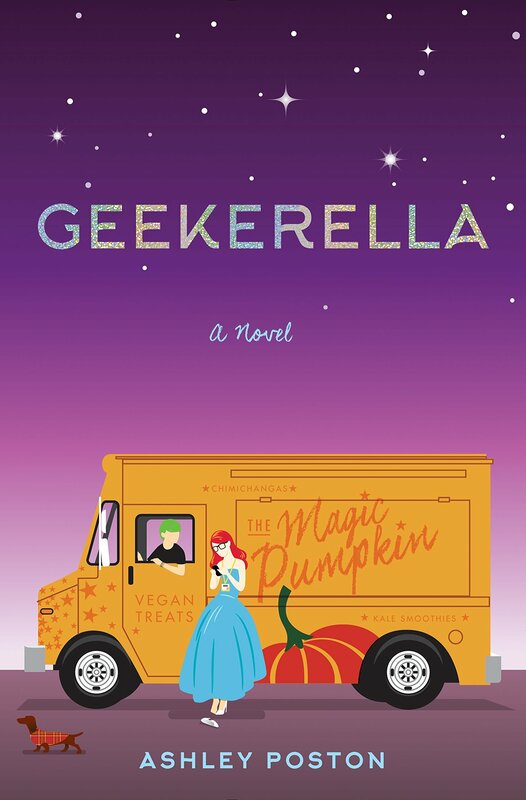 This morning a read about 30 pages of Geekerella by Ashley Poston, which I am very much enjoying at the moment, and have no doubt that I will keep enjoying it. Fingers crossed I can finish it by the end of the weekend, but we will see! Once I finish Geekerella, I plan on picking up The Dark Tower: The Gunslinger by Stephen King, which is the first book in The Dark Tower series. I watched the movie and really liked the storyline and the entire atmosphere of the movie because it was unlike anything I have watched. My friend, who has read the first book, said the book was way better than the movie so I knew I had to pick it up and give it a read. This will be my first Stephen King book and I am so excited and curious to see how I like it! Finally I have writing things to update on! I mean, I haven’t actually written anything yet, but I have some stories lined up to submit to different contests. I am really excited to start writing again, but after not writing for a few weeks it will be a challenge to come up and write 7 different stories all of the sudden! All of the deadlines are between now and the end of October, but some of those deadlines are approaching very fast so I need to get started. That is all for my reading/writing update and I hope you enjoyed. Don’t forget to check out my last blog post: My New and Improved September TBR! Previous postNew and Improved September TBR!